This is another one of all my all time favorite dishes. Recently when we went to Goa, had a generous helping of Tesrya Sukke (which is Clams Sukke) at a rustic Goan eatery called Bhatti Village. Here they had added a liberal amout of coconut to the dish, more than what my mom adds. 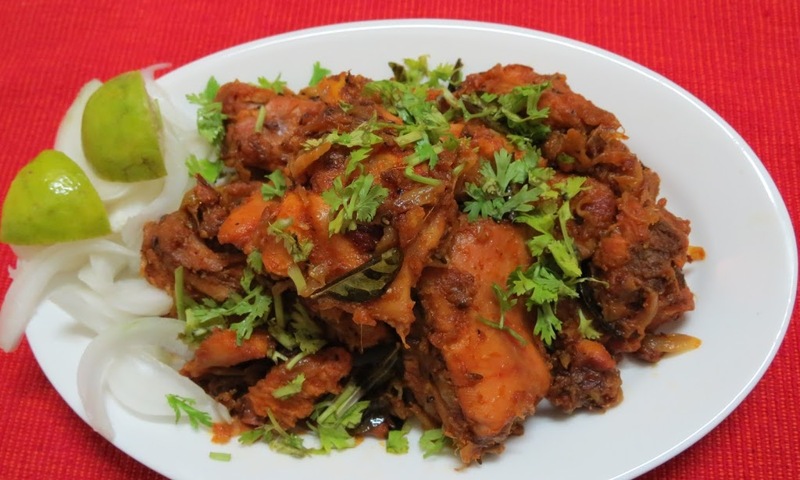 For the Konkani palette, anything tastes good with a generous helping of grated coconut. 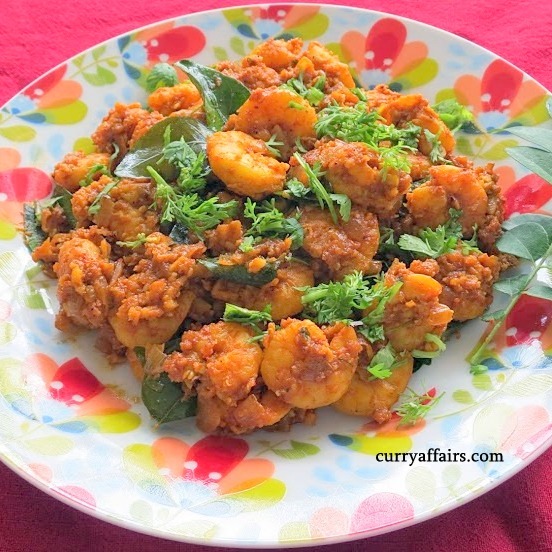 Decided to cook this but since clams are not available here in Hyderabad, had to replace them with prawns in the recipe. Try this simple recipe – its very quick and easy too. Place 500 gms of cleaned prawns in a bowl, add salt, pinch of turmeric powder, 1 tsp red chilli powder and 1 tsp ginger garlic paste and mix well. Let them marinate for 1 hour if possible. In another non stick pan, heat 1 tbsp of oil (coconut oil will give it additional flavor). Add 1 tsp of mustard seeds and when they splutter add a handful of curry leaves. Add 2 finely chopped onions to the pan and saute them till translucent. Add 1 tsp each of finely chopped ginger and garlic and saute it well. Add the masala paste and saute well. Add the prawns and coat it well in the masala. Add some water if needed and Let it cook for 10-15 mins or till cooked. Garnish with 2 tbsp grated coconut (the more the better ;)) and lots of finely chopped coriander leaves.